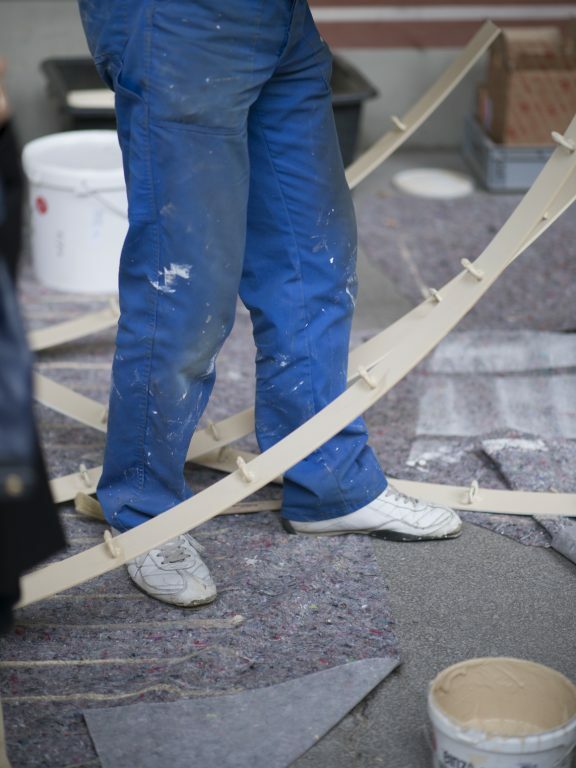 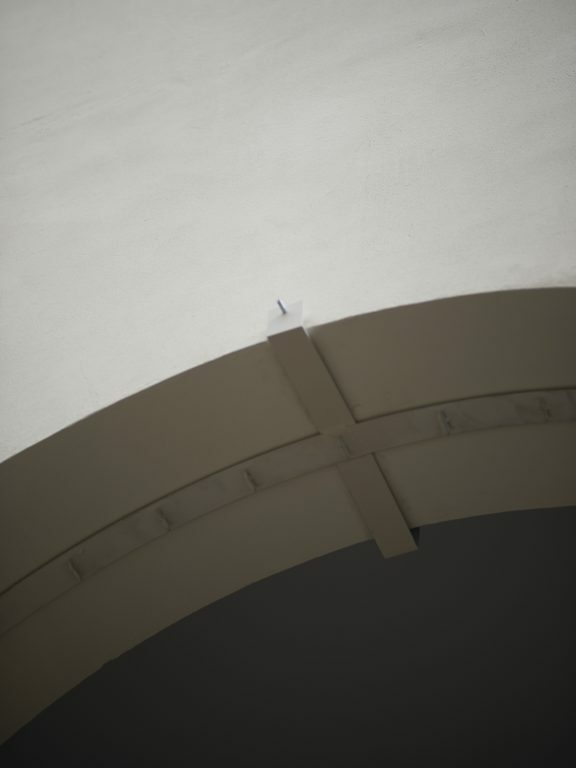 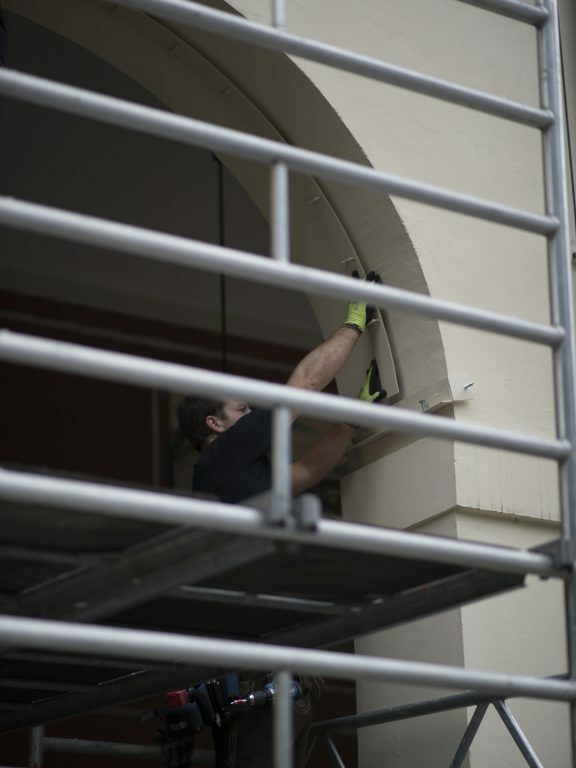 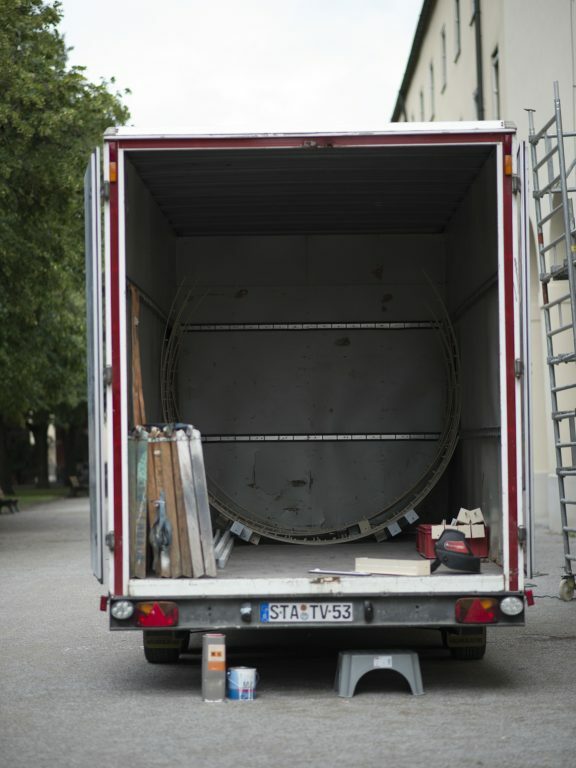 Replika was a temporary installation of Ayzit Bostan and Gerhardt Kellermann, funded by the Department of Culture Munich. 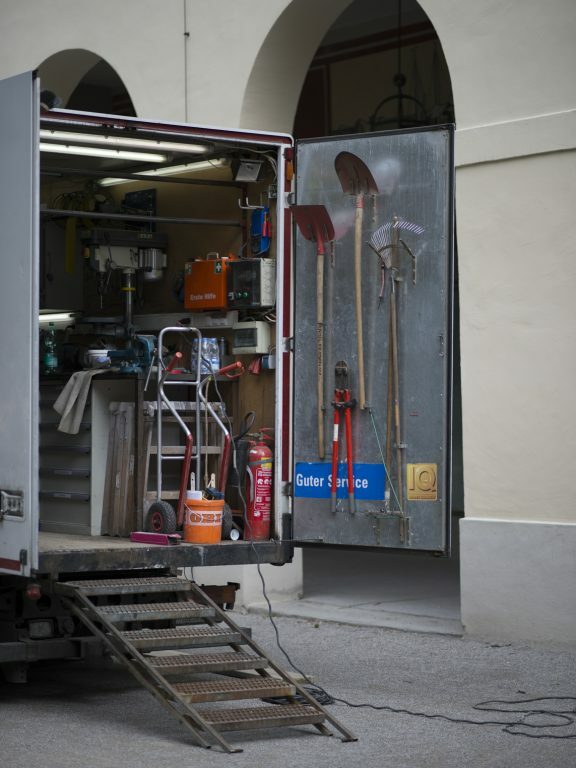 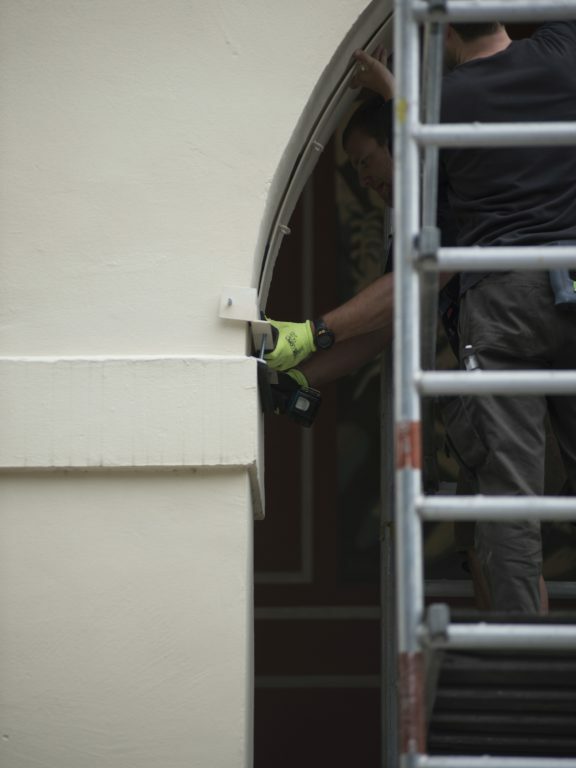 It’s a cooperation between the two artists, the City of Munich and the Bavarian Administration of State Palaces, Gardens and Lakes. 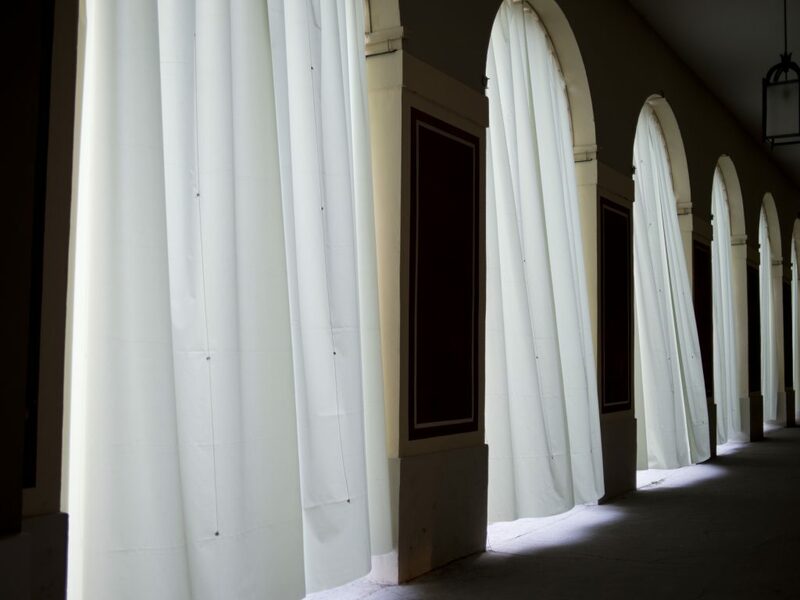 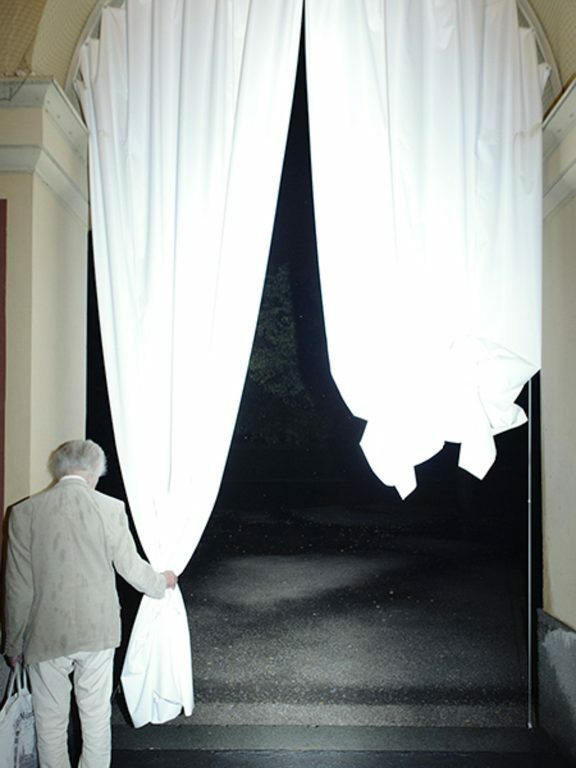 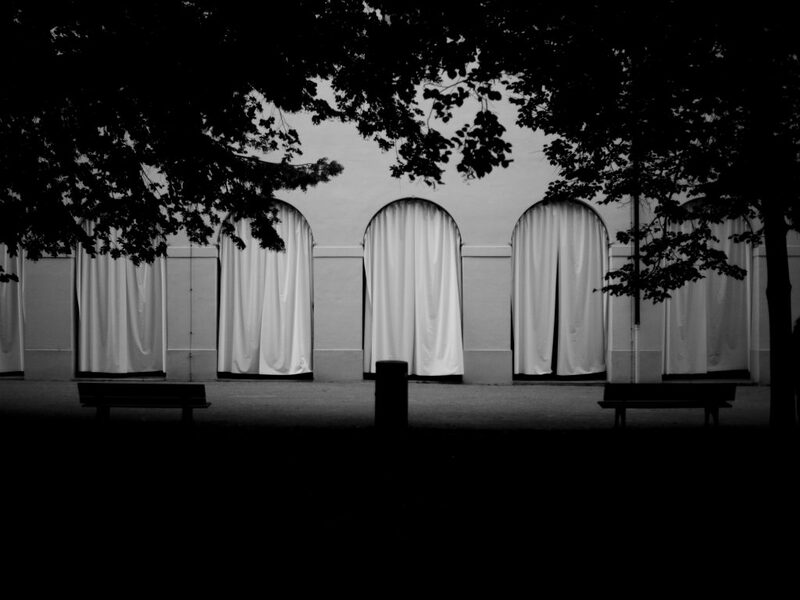 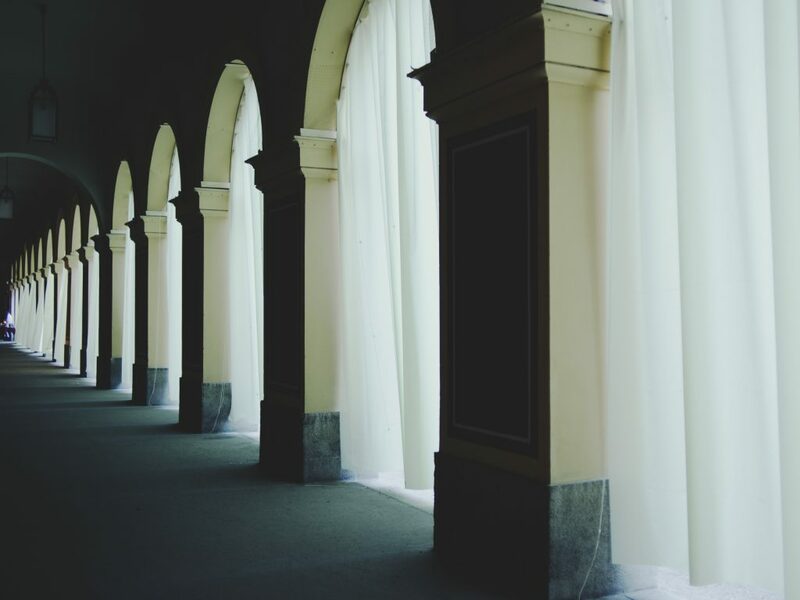 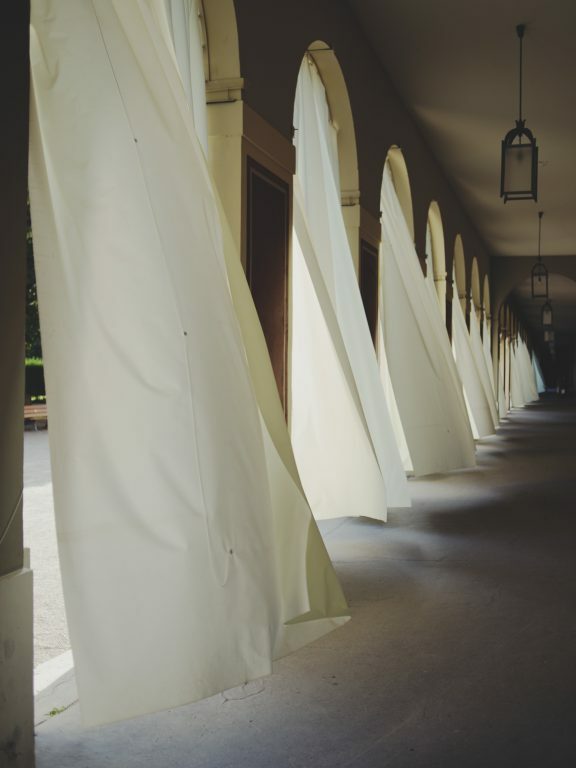 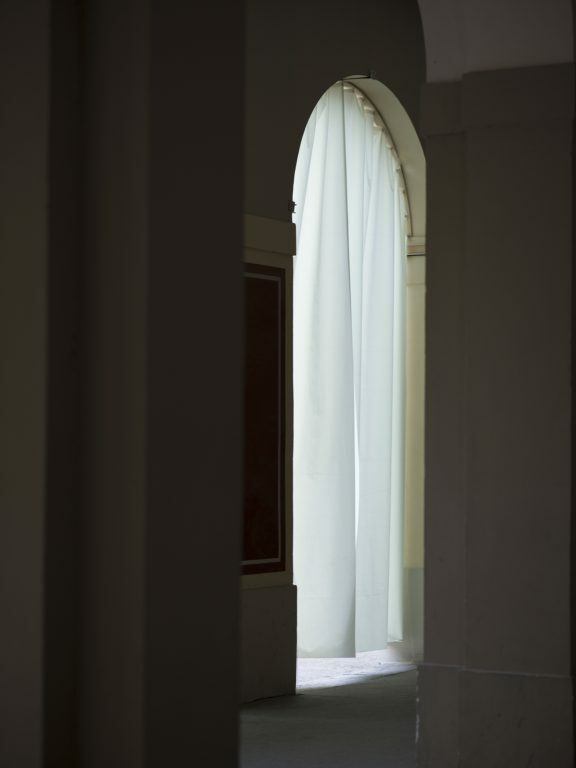 88 Arcades of the famouse Hofgarten Munich have been covered with textile curtains. 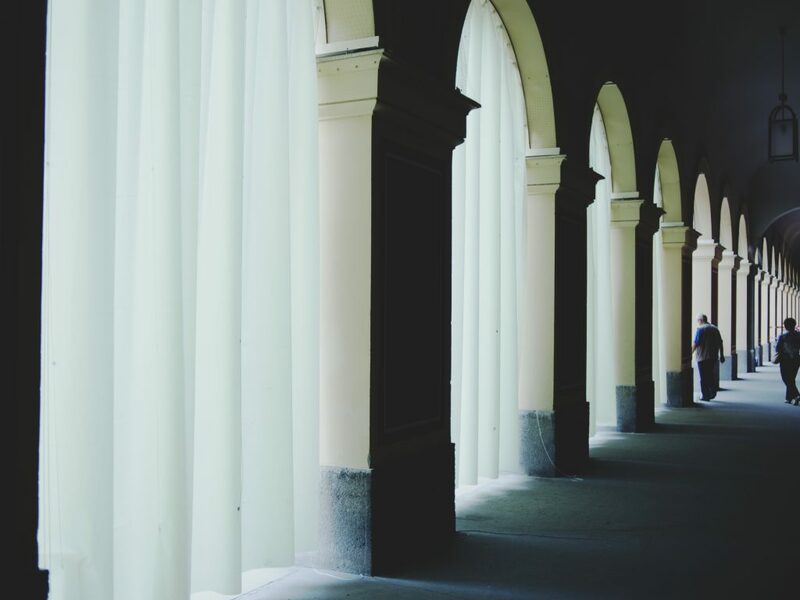 It was the replication of the Piazza San Marco in Venice into the heart of Munich. 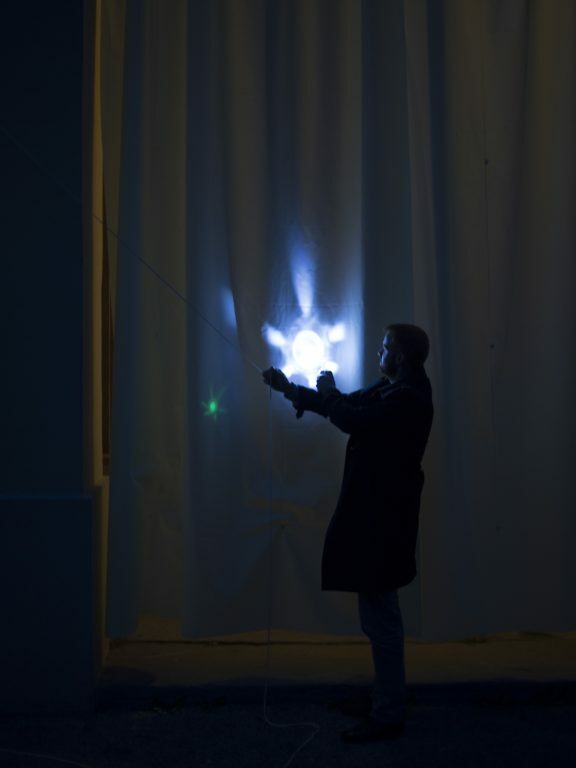 Replika was on display from July 20th through October 22nd 2012. 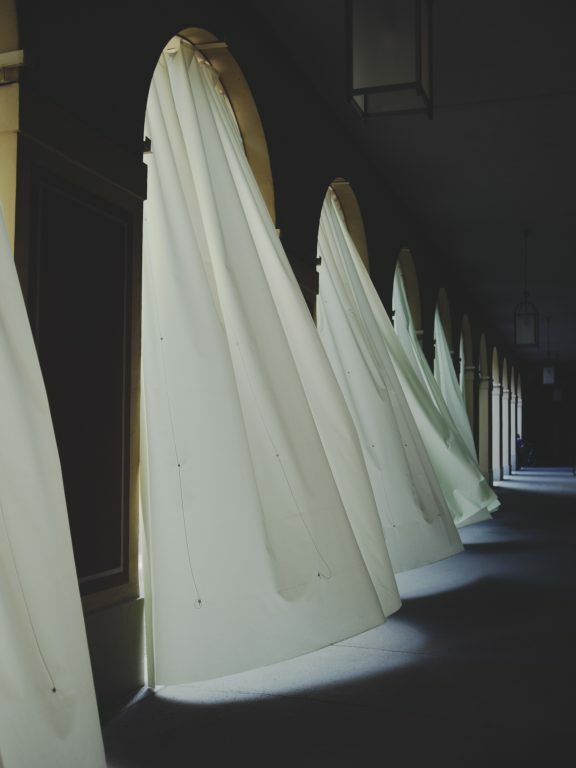 For this art performance, Ayzit Bostan, a fashion designer living in Munich, has worked together with the Munich-based industry designer and photographer Gerhardt Kellermann. 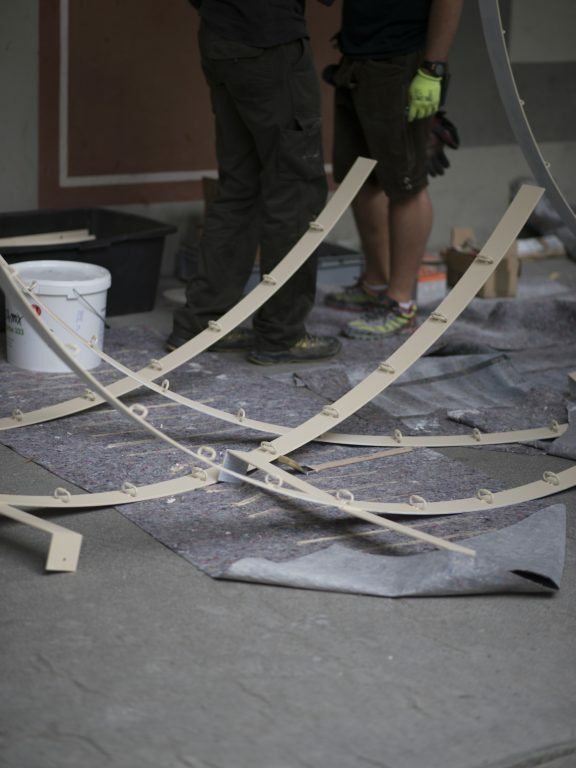 REPLIKA has been offered a reward in the framework of a competition of art in the public space „Aspekte der Gestaltung und des Designs im öffentlichen Raum“, that was organised in 2011 by the cultural department. 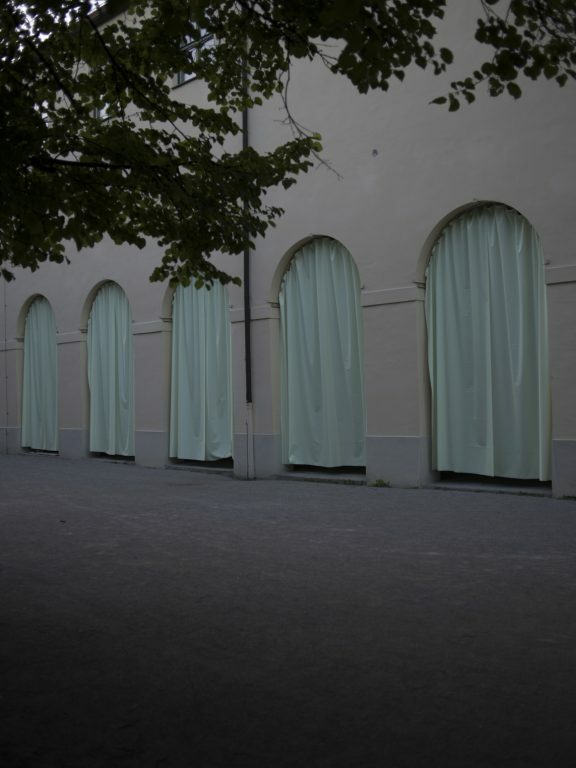 The installation “REPLIKA“ took up the idea of duplication or deferral of a generally known picture to another place within the city of Munich. 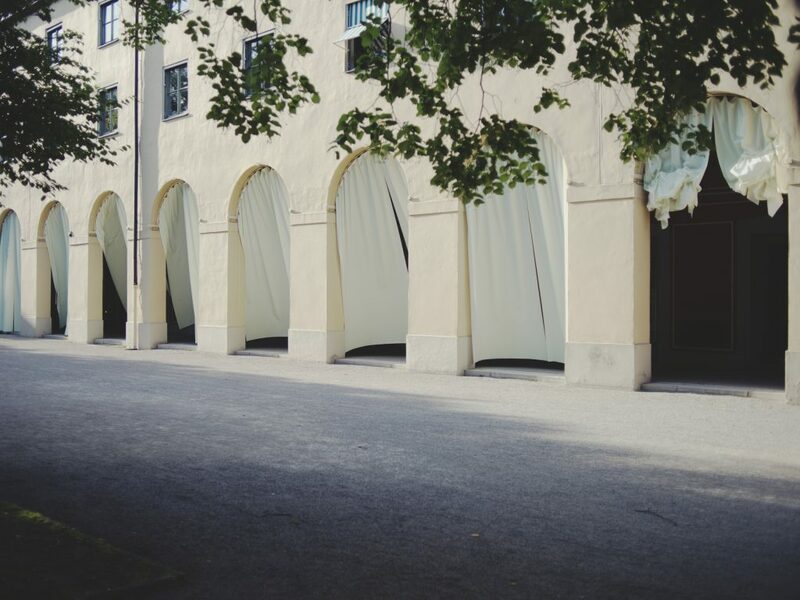 The historic tradition of copying Italian architecture in considerable edifices of Munich, as e.g. 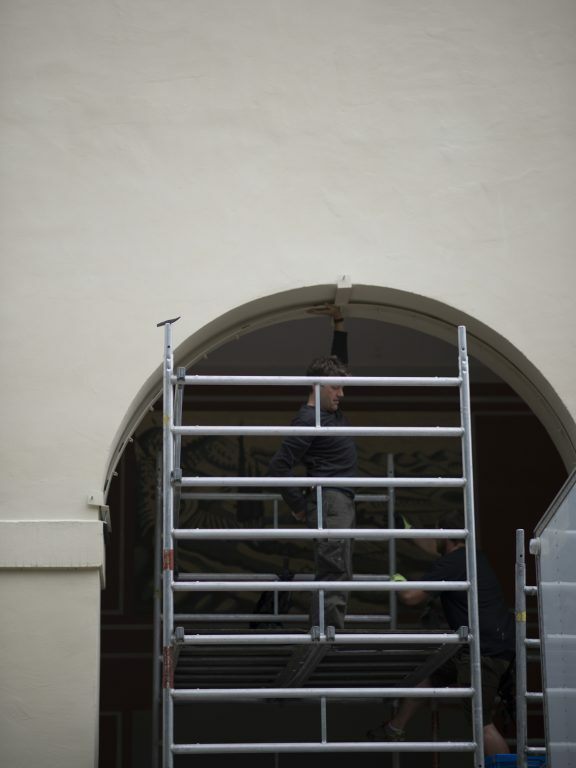 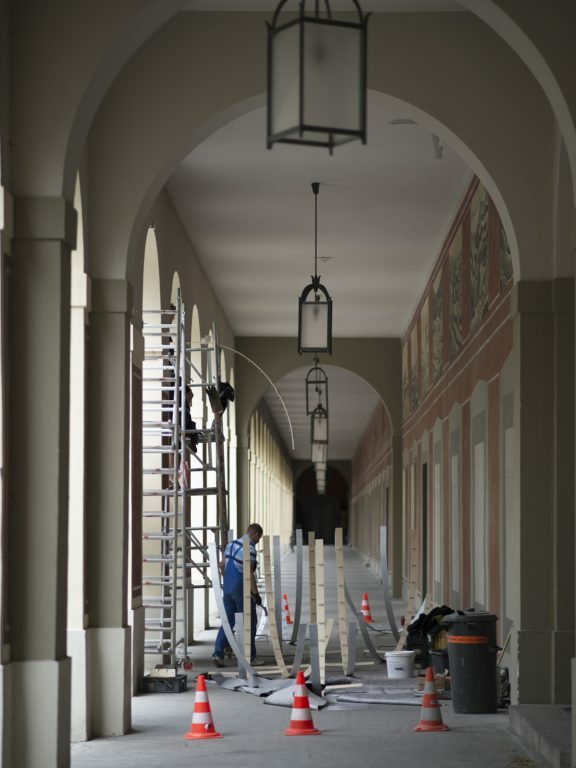 the Feldherrnhalle as a replica of the Loggia die Lanzi in Florenz is continued in time with “REPLIKA“. 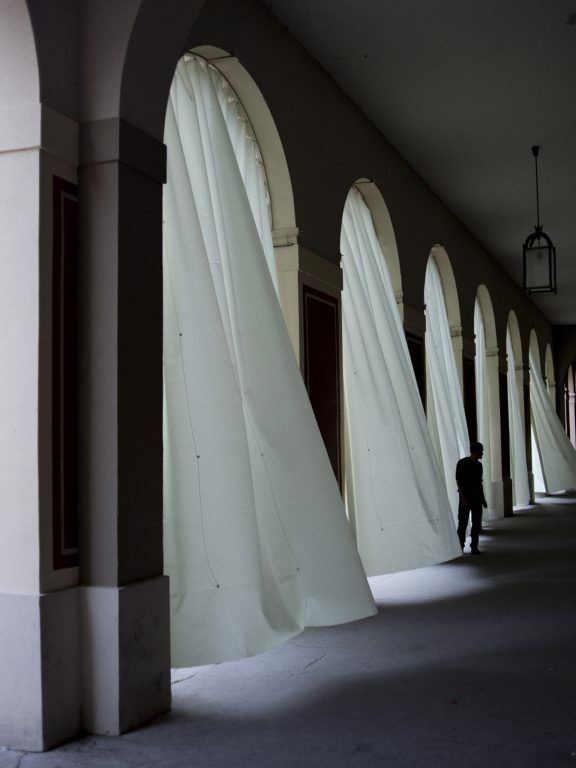 The Hofgarten of Munich was presented as replica of the Piazza San Marco in Venice – the two artists reproduced the well-known waving curtains of the arcades of Venice for the Hofgarten of Munich. 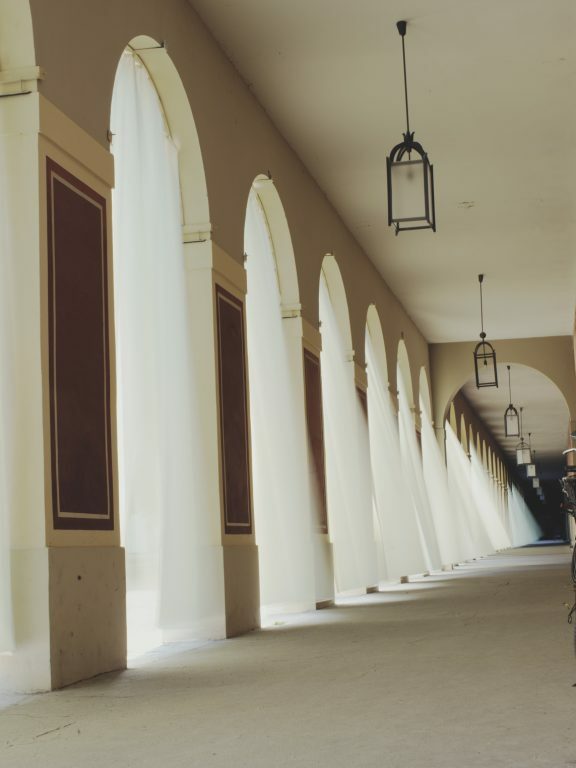 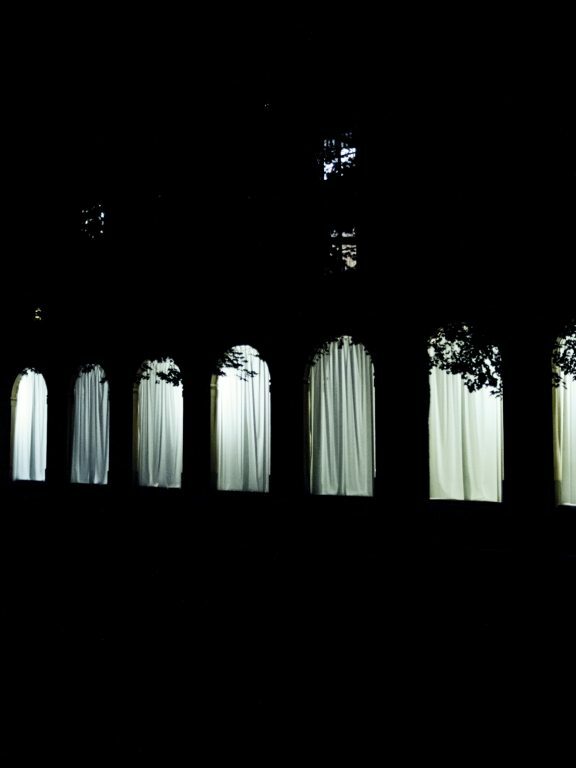 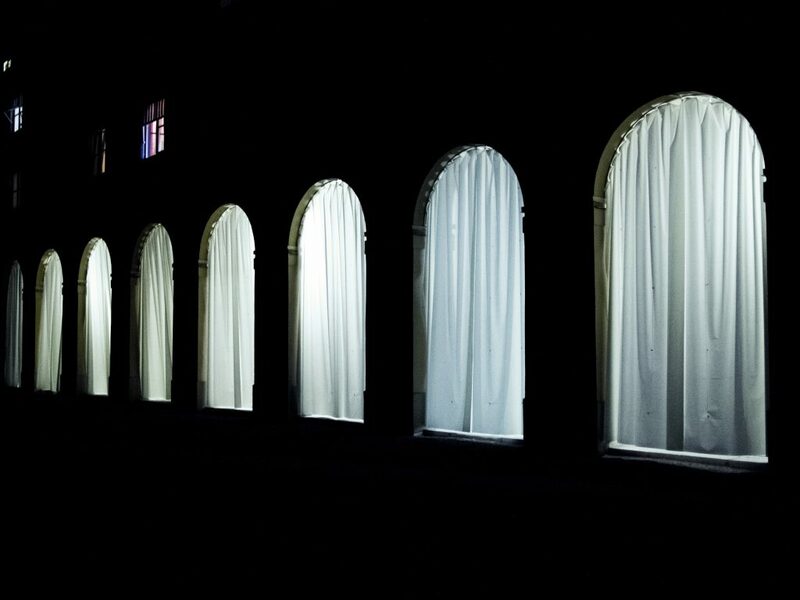 The 88 arcs within the arcades of the Hofgartenarkaden have been mantled with light curtains. 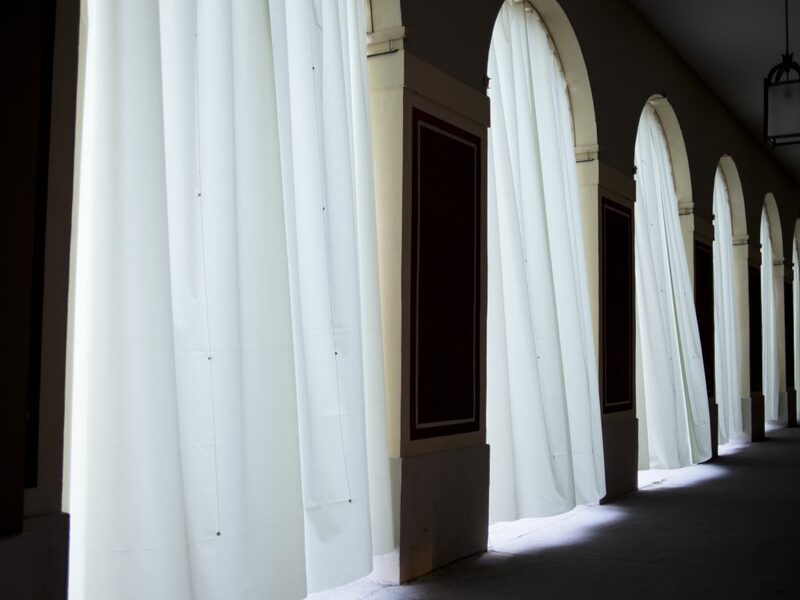 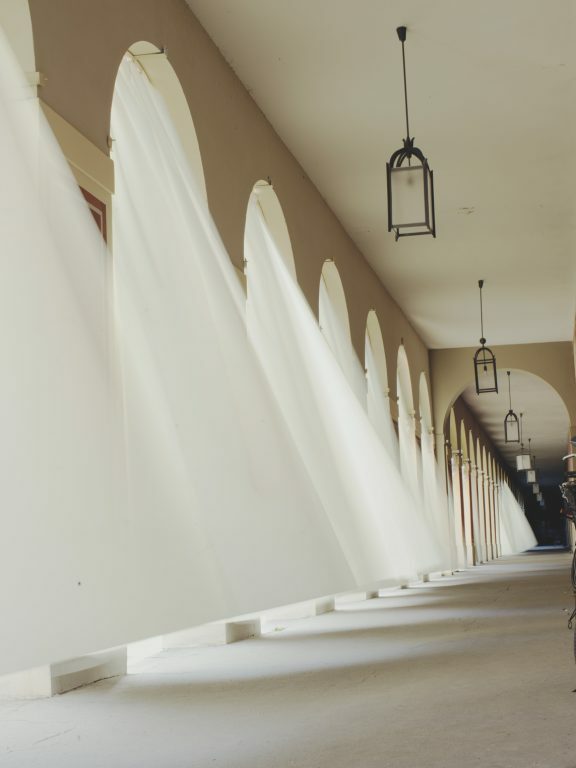 The draperies showed changing movements – thus constantly changed reviews and spatial images have been created. 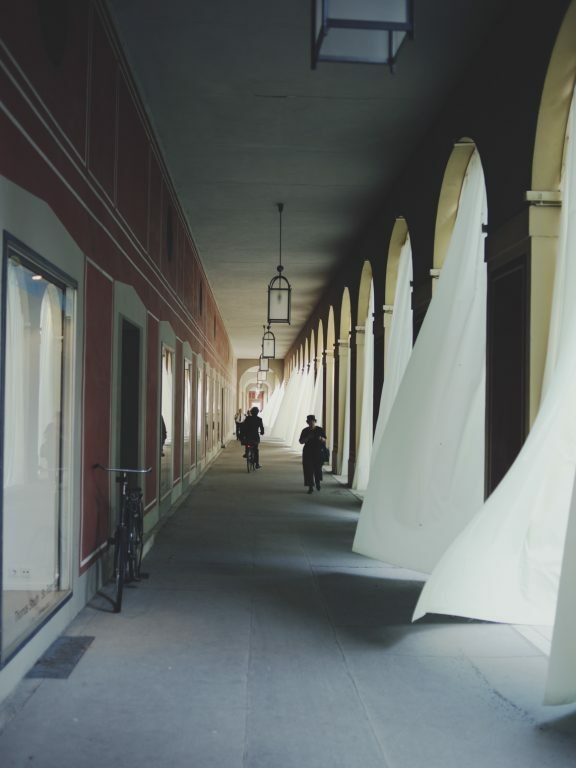 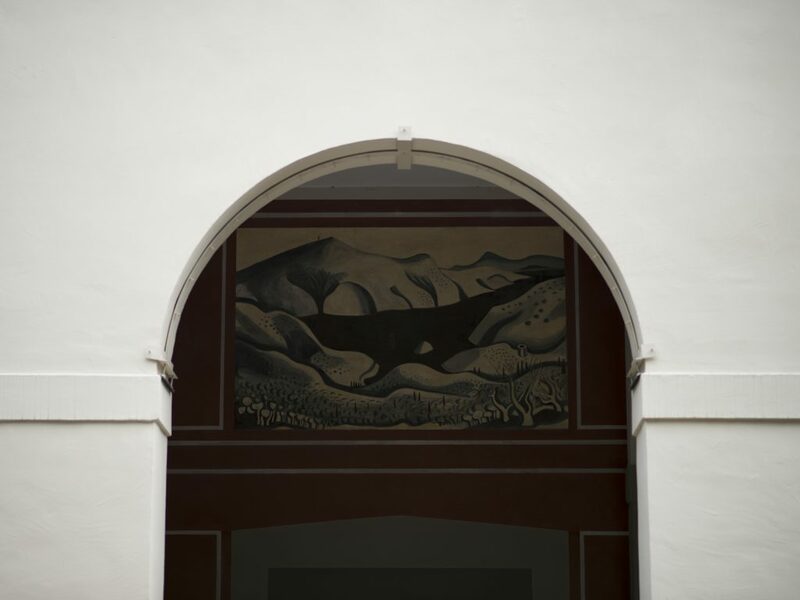 The textile works “REPLIKA“ plays not only with the aspect of architectural borrowing but also with the creative means of disguising and discovering and, linked to that, with a new spatial perception of one of the best-known public places of Munich. 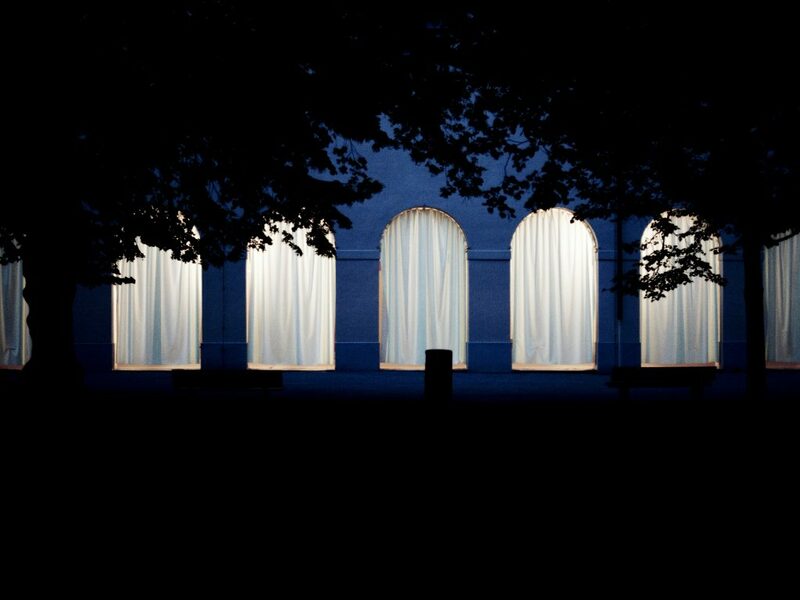 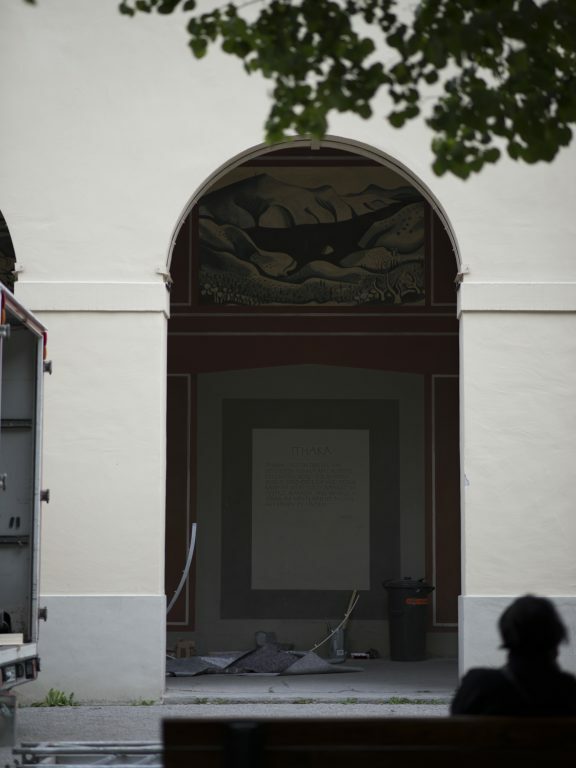 Despite of the seemly simple creative measure, the arcades have been emphasized a new within the architectural concept of the Hofgarten thanks to the installation and have been perceived a new. 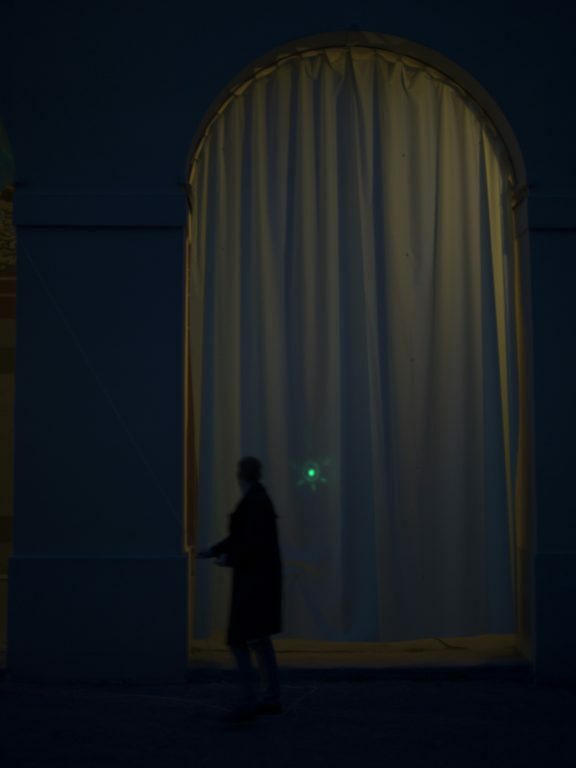 For the passengers within the arcades, the installation „REPLIKA“ was an open, playful invitation into the Hofgarten, a request to discover this public place and to perceive him again.